A delicious porch dinner included this 2011 Santa Margherita Pinot Grigio, probably our favorite white and the one to which all others are (at least presently) compared. Candle? Check. Ambiance? Check. Great company? Got that too. Our meal consisted of a couple of swordfish steaks, grilled to perfection, and some delicious garlic mashed potatoes and grilled asparagus with burnt butter and lemon sauce. 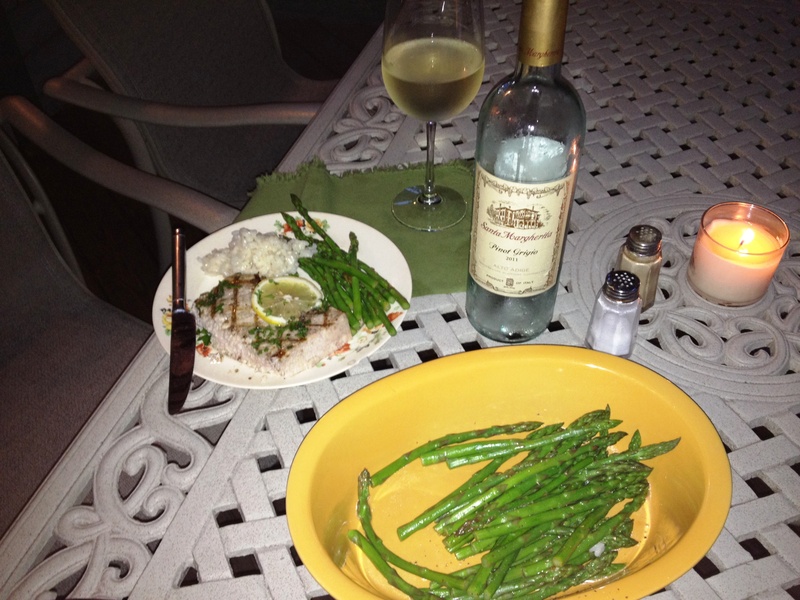 Combined with the Santa Margherita, it all made for a great evening on the patio. 2011 Santa Marghertia Pinot Grigio. This night, it entertained us.